We are halfway to our goal of adding turn to another infield!!! Purchase a brick for yourself, family member, team, or company to be displayed at Little League Park. All proceeds go toward adding turn to another infield. 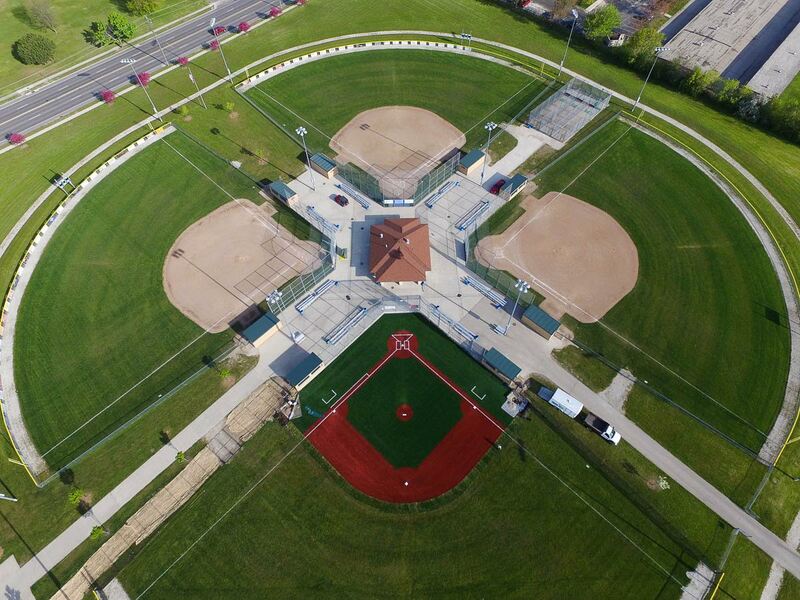 Overhead view of the park featuring the turf infield on diamond 4. 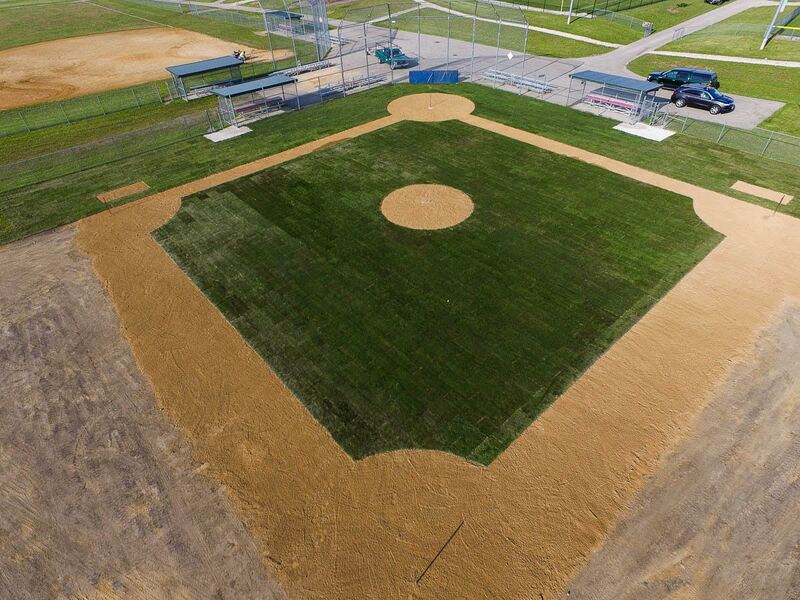 Diamond 5 was rebuilt adding a grass infield with irrigation.